To me, recipes are more guidelines than actual rules. If I'm baking, I'll get out the measuring cups, but for everything else, it's all about adding amounts that seem good to me, not exact measured amounts. 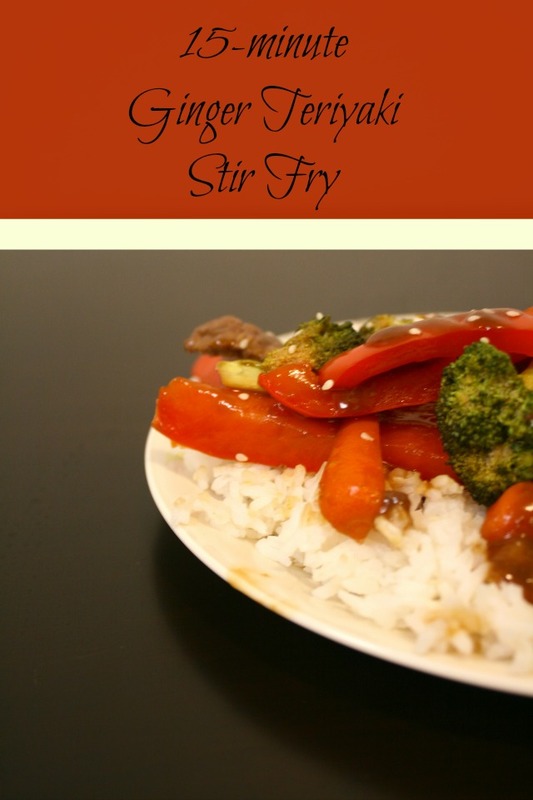 That's why I love this ginger teriyaki stir fry recipe. It's so easy, and there are no set amounts. Are you a veggie fan? Add more veggies! Don't like garlic? Skip that part of the recipe! This is one of my favorite school night recipes. I come home from work around dinner time, and I'm always ravenous, so anything quick, easy, and healthy is perfect for me. That's why I like this recipe. The fresh ginger adds the tangy Asian flavor that makes this dish exotic while still appealing to whatever hungry masses you feed each night. Here's the recipe. Marinade the beef strips in about 1/3 bottle Teriyaki sauce for 3-4 hours (optional. If you don't have time, just marinade them for a few minutes while you prep everything else). Chop all vegetables into equal sized pieces. Heat two frying pans on medium heat. Grate fresh ginger and garlic into each. 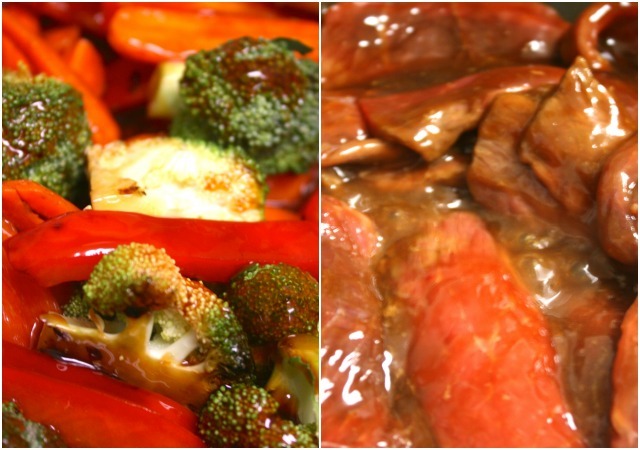 Add vegetables to one pan and beef strips to another pan immediately. Stir and add teriyaki sauce as needed to both pans. Make sure the vegetables have lots of moisture so they don't burn. I usually add about 1/3 cup of water to the vegetables to prevent charring. Stir both pans on medium heat, keeping covered in between stirs. Grate more fresh ginger as desired (don't be afraid to add lots of fresh ginger). Meat is done when browned through, and vegetables are done when barely getting soft (don't cook them too much or they'll be soggy). Combine pans and stir together. Serve over a bed of rice. Sprinkle each serving with sesame seeds. Looks great! 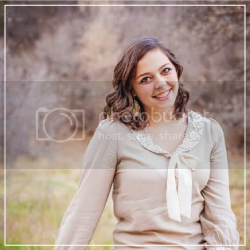 Awesome pictures, too! um, so good. i LOVE stir fry! so excited to try this!